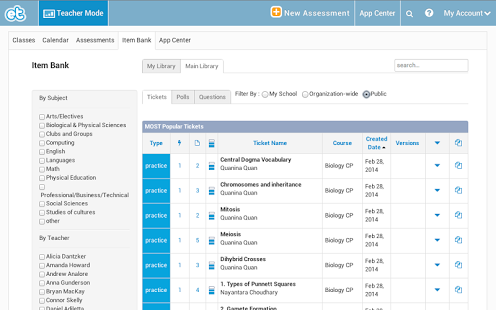 A Student Response System for exit ticket style formative and summative real time assessments. This is the Free Edition for both Teachers and Students. Teachers: Download this app and login as usual. You can create a new account if you don't have one. Students: Download this app and login as usual. 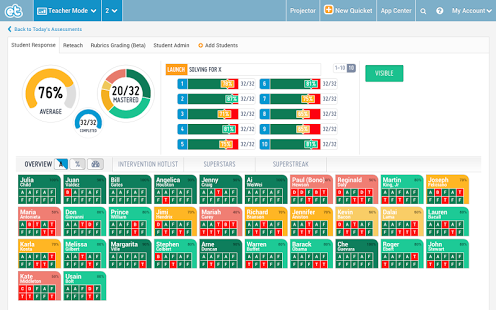 ExitTicket is a student response system, designed by teachers to achieve one simple idea: Accelerate student achievement. ExitTicket can be used to deliver real-time formative and summative assessments in 'exit ticket' style delivery throughout a class period. 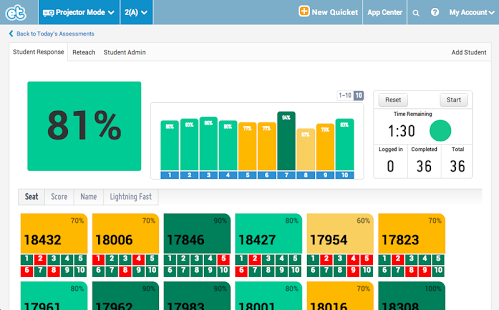 ExitTicket is similar to other clicker or voting/polling and audience response systems, but unique in that every student has their own account and student performance data is tracked across all their classes, and over time. 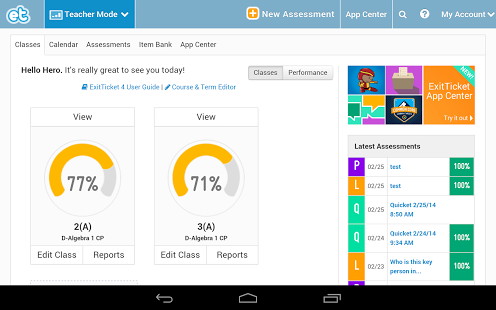 See performance & progression metrics for each individual student and the class as a whole, in real-time. Real-time responses for every student allows you to differentiate instruction and provide immediate intervention for every student. 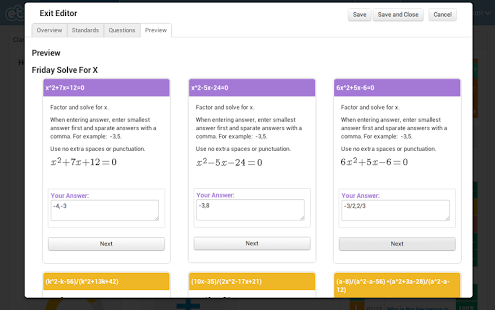 Immediate classroom comprehension checks from launches, exit tickets, polls, quizzes and exams to provide the information you need to modify your teaching in the moment. 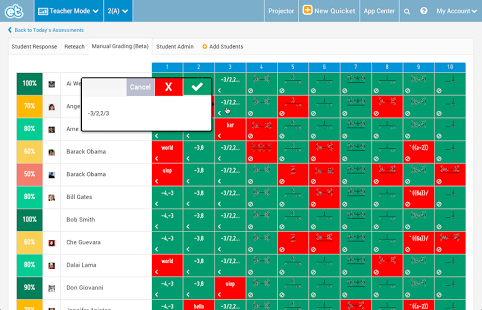 See individual and class progress over time with ExitTicket’s longitudinal data, empowering both teachers and students to see academic progress in real-time and over the course of the year. Drive instructional strategy through sharing assessments with other teachers in your school, district, network or around the world. 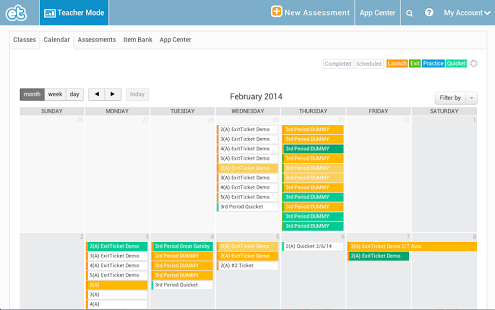 ExitTicket’s individualized data allows students to set their own goals and direct their own learning as never before. All they need is a device that can connect to the Internet. Perfect for BYOD. We've designed ExitTicket to be a powerful, free, real time assessment and exit ticket tool right out of the box which you can use as long or as much as you like. You also have the option to extend ExitTicket's functionality with additional low cost apps that can be added as you like. ExitTicket has been developed to be used on any web-enabled device. This can be just about any android based smartphone with a modern web browser, netbook, laptop, Chromebook, Nexus 7, 10 tablet and more. Really, any device that has a web browser and network connectivity through a wired connection (computers), Wifi or wireless mobile data such as 3G/4G/LTE on your connected mobile devices. ExitTicket supports a B.Y.O.D. environment beautifully, as a student can sign into their account in any device. Students can use the old, outdated smartphone sitting in a drawer at home, last generation devices otherwise recycled.